The public sale of the BitTorrent Token (BTT) has been successfully conducted according to a statement published by Binance on Monday shortly after the sale. The sale ended almost as soon as it started grossing around $7.2 million investment from participants. 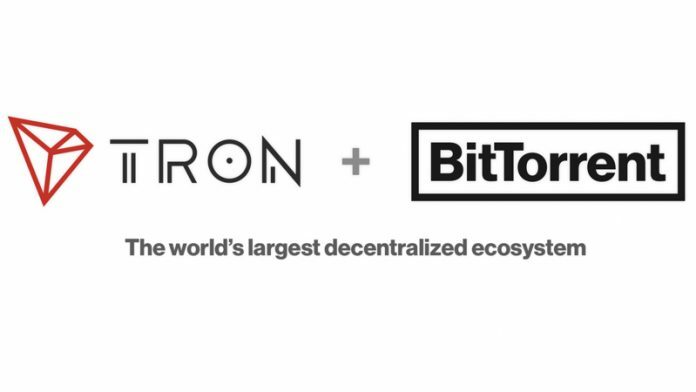 For a while, Tron’s CEO Justin Sun has spoken glowingly about the introduction of the BitTorrent token (BTT) which is an outcome of Tron’s acquisition of peer to peer file sharing platform BitTorrent for $140 million last year. Sun stated that BitTorrent which has a huge number of active users will be used to attract more people into cryptocurrency and fulfill Tron’s goal of decentralizing the internet. The token sale was conducted on Binance Launchpad, an exclusive token launch platform of Binance crypto exchange and took place in two sessions simultaneously. One session, participants who held TRON’s native TRX tokens while the other session was for participants who had Binance’s native token, BNB. According to Binance Launchpad, the public sale started at exactly 3:00 PM UTC and lasted for just 15 minutes. A total of 60 billion BTT tokens which were available for the public sale was purchased by participants for a total of about $7.2 million. Participants could purchase BTT tokens worth a minimum of $12 USD and a maximum of $20,000 USD. Only 6 percent of the entire BTT tokens was allocated for the public sale and each BTT token was valued at $0.00012 USD during the sale. About 35 countries including the United States was excluded from the token sale due to regulations. In his response to the public sale, the CEO and founder of Binance Changpeng Zhao said the demand for the BTT token was out of this world and that the sale would have ended in a matter of seconds if not for a technical issue encountered on the Binance Launchpad. “Both sessions concluded. Took about 18 minutes, due to a system issue, “would have taken 18 seconds otherwise. Demand was astronomical,” CZ wrote. The Binance Launchpad had been used to conduct two little-known tokens in the past—that is Bread and GIFTO. 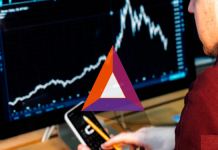 CZ explained that the platform has a server glitch following the “astronomical” demand for the BTT tokens. To appease some users who were on the Binance Launchpad but were unable to purchase the BTT, Justin Sun promised an airdrop of BTT to them although the exact number of BTT each will receive was not disclosed. At the time of writing, TRON (TRX) is trading at $0.02 USD, about 4 percent down from yesterday as the crypto market continues its downward trend since the start of the week. It still maintains the 8th position in the cryptocurrency rankings with a total con market cap of $1.78 million above Stellar and Bitcoin SV. As Smartereum reported last year, the Tron team announced a major airdrop of the BTT tokens which is expected to begin next month. The BitTorrent Foundation, responsible for the development of the BitTorrent project announced that roughly 20 percent of BTT’s total supply will be airdropped to TRX holders between February 11, 2019, and the year 2025. In private sales of the BTT token conducted last November, 11 percent of the entire BTT supply was exchanged for a total investment of $19.3 million.